Native Collection Plus Pure Cherry laminate flooring from Shaw is prefabricated with SilentStep Plus underlayment attached for ease of installation and noise reduction, blazing the path for a hassle-free room transformation in your home. These 8 in. W planks have square edges and can be installed over wooden and concrete subfloors on any level of your house, with tongue-and-groove construction enabling quick snap-fit assembly. Backed by a 20-year limited warranty, this visually stunning laminate has a low-gloss finish that is ideal for any room, withstands high traffic and is easy to keep clean. 21.12 sq. ft. per case; case weight: 27.69 lbs. 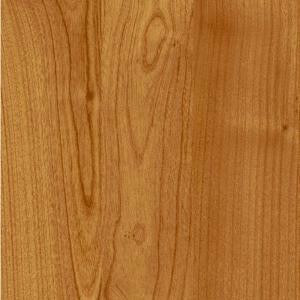 Buy online Shaw Native Collection Pure Cherry 8 mm Thick x 7.99 in. W x 47-9/16 in. L Attached Pad Laminate Flooring(21.12 sq. ft./case) HD09900800, leave review and share Your friends.